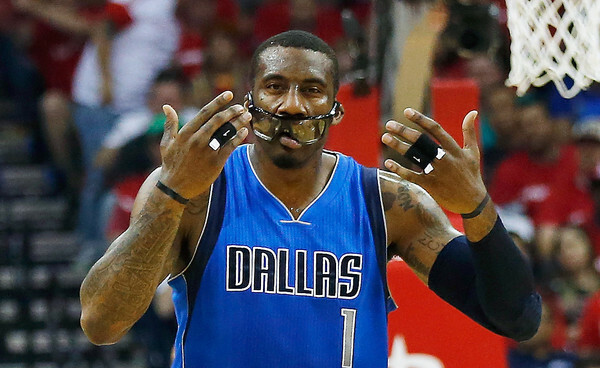 It’s been over a week of free agency, and Amar’e Stoudemire still doesn’t have a team. He’s been linked to the ball club he finished the season with, the Dallas Mavericks, but has also been in some form of touch according to the rumors with the Phoenix Suns and the Los Angeles Clippers. The Clippers, after losing Jordan, seem to be quite desperate in their lookout for a big man. They are interested in Josh Smith, but nothing is moving on that account at the moment, and staying with the Rockets might be better for Smith. Stoudemire? As a backup power forward and sometimes center for the Clippers he could be of use, although there’s zero defense coming from him, among other issues. Stoudemire can’t play too many minutes, even though he wants to, and wasn’t happy spending just 16.5 minutes a night on the floor in Dallas. He wants a bigger role, but can the Clippers give him one and feel confident they have the frontcourt covered? If the Suns trade Markieff Morris away it’ll be an interesting situation for Stoudemire. The Suns are loaded at center with Tyson Chandler and Alex Len, but Stoudemire could provide someone who brings points, and quickly, still after all these years and knee problems. As for the chances of him staying in Dallas? Charlie Villanueva is going to stay. What does that leave for Stoudemire? They’d like to have him, but it seemed things didn’t end on the best of accords last season, and it could be that Stoudemire thinks he still deserves more playing time than he’ll be getting in Dallas, and probably with anyone who has aspirations of going somewhere next season.